Share your #COOLnotcool stories and WIN! We’ve all been there, right? A friend, neighbor, or maybe even an online blog claims to have some little-known secret to shedding excess body fat. It could be the most absurd, obscure sounding thing imaginable, but if it’s easy enough to try, why not, right? The results though, pretty much always end in disappointment. When times get a bit dire, these “easy” solutions can be easy to fall for. If it really were THAT simple though, we’d all be doing it, and we’d all look and feel amazing! Luckily, we live in an age where proven fat-freezing technology like CoolSculpting has come to rescue of all of us! The fads we had all tried here and there can officially be put to rest as a thing of the past. But that doesn’t mean we can’t still look back and laugh at some of the wild things we’ve all tried over the years. And now, doing so might just win you one of several great prizes along the way! To enter to win one of these prizes, CoolSculpting wants to hear about YOUR #COOLnotcool confessions of past attempts at shedding excess body fat! WHO can participate? – YOU! As well as your family and friends. Anyone willing to look back at some of those wild attempts at losing fat from the past. WHAT do you need to do? – Share on social media the crazy ways you’ve tried to lose stubborn fat using the hashtags #COOLnotcool and #contest, while also tagging South Valley OrthoMed as well. WHERE should you post? – Facebook, Instagram or Twitter. WHY should you want to participate? 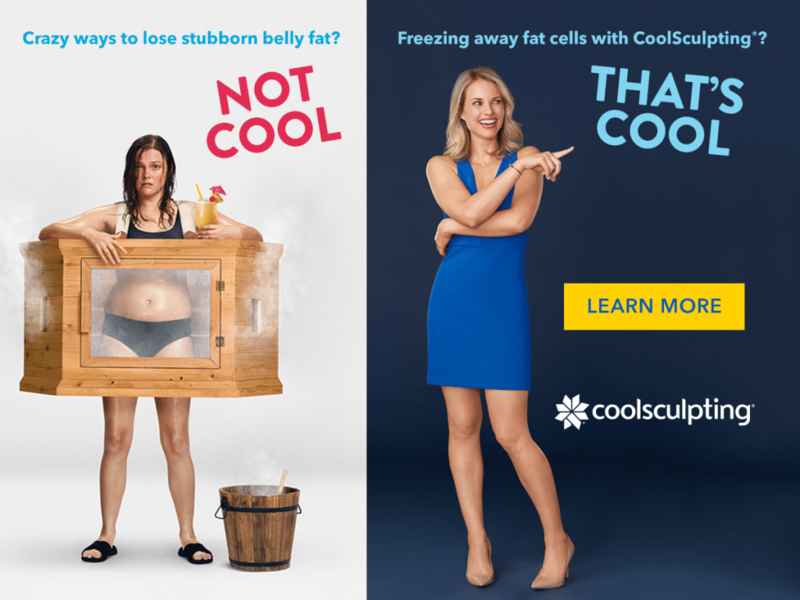 – Every eligible post using #COOLnotcool #contest and your location tag is automatically entered for a chance to win some very COOL prizes, like a trip to CoolSculpting headquarters, an exclusive session with Google or the GRAND PRIZE… a special CoolEvent featuring a very special guest. WHEN does the contest launch? – The contest begins July 9th and will continue through September 30th, 2018. HOW do I know what to post? – Post the crazy ways you’ve tried to lose stubborn fat! Because we’ve all tried something here and there. We can’t wait to see some of your stories!